﻿ Anna Traditional Apartments Santorini. JIMAT di Agoda.com! 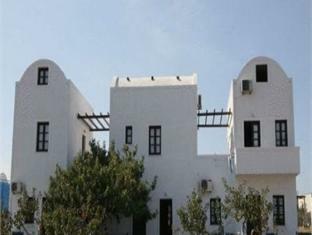 Terletak di tengah-tengah Monolithos, Anna Traditional Apartments merupakan tempat yang sesuai untuk meneroka Santorini. Dari sini, tetamu boleh menikmati akses mudah kepada semua yang bandar meriah ini boleh tawarkan. Juga terletak berdekatan adalah Lapangan Terbang Santorini, Sellada Pass, Thera Purba. Kemudahan dan perkhidmatan yang disediakan oleh Anna Traditional Apartments memastikan penginapan yang menyenangkan bagi para tetamu. Pilihan kemudahan kelas atasan seperti simpanan bagasi, parkir valet, pemindahan dari/ke lapangan terbang, bilik keluarga, sewa kereta boleh dinikmati di hotel. Semua penginapan bagi tetamu menawarkan kemudahan yang difikirkan dengan teliti bagi memastikan rasa selesa yang sukar ditandingi. Hotel ini menyediakan kemudahan rekreasi yang baik seperti kolam renang luar, menyelam, memancing, taman untuk membuat penginapan anda benar-benar tidak dapat dilupakan. Apabila anda mencari penginapan yang selesa dan mudah di Santorini, ijadikan Anna Traditional Apartments sebagai rumah anda seperti berada di rumah sebenar. Stayed only one night and did not expect much. However, the hospitality was so exceptional I would definitely visit Anna's place again. She and her husband take very good care of the apartments and their guests. Not only they let me stay after check out by the pool waiting for my flight, Anna even treated me to home-made cookies and juice. The planes arriving/departing from the airport can be a little noisy, but they provide fresh wind to cool you down in hot days, an exceptional advantage to its location. It was a very pleasant stay, 10/10 recommend. The hosts Anna and Elios. The very comfortable bed. The lovely sweet wine that Elios gave us on the last night. We only had a short time on the island so decided that we would spend 2 night's in Oiá and 2 somewhere else. (Oiá is bloody expensive!!) I looked at so many reviews and when I came across the Anna Traditional Apartments, I was dubious about the location. I booked it anyway as the reviews were so positive. I am so glad I did!! Anna and Elios were so kind. They picked us up from Thira bus station, from that moment they had us won over with so much kindness. 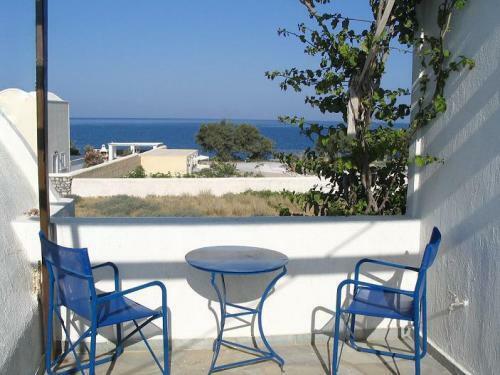 It's a self catering apartment, but I think Anna and Elios would have done anything to make sure our stay was perfect. From water melon by the pool to insisting on giving us lifts to the local towns and just talking to us and being so friendly. I can't recommend this accommodation highly enough. 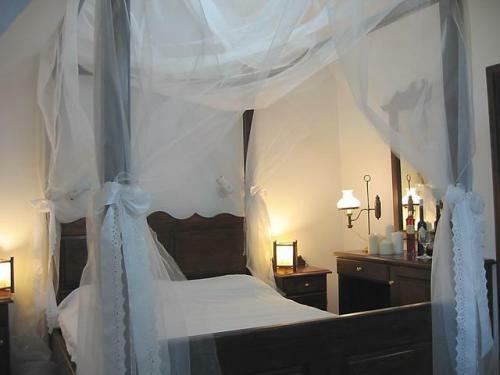 If u want to stay in Santorini and you are on a budget this is the perfect choice.